Breckenridge Grand Vacations (BGV) is gearing up for the annual Volunteer Day with Friends of the Dillon Ranger District (FDRD). 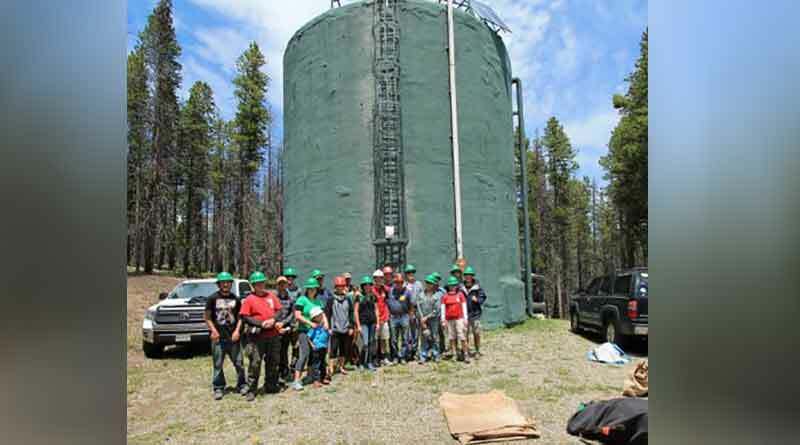 Each summer, BGV partners with FDRD to maintain the trail systems in and around Breckenridge. BGV’s philanthropic program, BGV Gives plays a large role in coordinating volunteers and trail repairs with FDRD, and reaches out to employees and the community for help. The Forest Service assesses trails with FDRD a few weeks prior to the cleanup to determine which areas needed the most attention. Then, volunteers comprised of FDRD staff, BGV employees, families, friends and other community members spend the weekend cleaning trails, transplanting trees and closing trails in sensitive areas. This is followed up with a mountain-top cookout sponsored by BGV to celebrate their success. There are a multitude of ways to get involved locally. Visit FDRD’s website and BGV Gives for more information. And what’s even better than helping your community? Getting paid to do it! BGV’s Volunteer Time Off program pays employees for up to 24 hours of approved community and philanthropic work per year. With benefits like this, it comes as no surprise that BGV remains Summit County’s top employer and has again been named as one of the best places to work by The Denver Post, the Best of Summit, the Business Excellence Awards, and ColoradoBiz. About Breckenridge Grand Vacations: Created in 1984, Breckenridge Grand Vacations (BGV) was built by brothers Mike and Rob Millisor and friend Mike Dudick upon the belief that the success of their company would be determined by the positive impact it had on their owners and guests, employees and the community. The developers of the company also embraced the concept that BGV would be the best in sales if they were first and foremost the best in customer service. The company has embraced the Net Promoter methodology company-wide and consistently beats industry averages with its high scores. BGV now creates Grand vacations for nearly 25,000 owners and employs over 500 staff members. Known as the employer of choice in Summit County, the company offers incredible benefits and has been consistently named as a top workplace by the Denver Post, ColoradoBiz Magazine, the Summit Daily, the Summit Chamber, Kaiser Permanente and Perspective Magazine. To find out more about employment opportunities with BGV, visit BGVjobs online.